Jamieson’s heavy weight! This chunky yarn is a real joy to knit with. 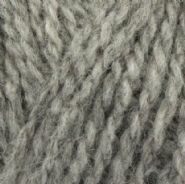 It is a heavier weight version of their Shetland Heather Aran. Supplied in 100g Doughnuts.